For my review, I was kindly sent a 3.31oz bottle of Urielle‘s Revital Restorative and Conditioning Styling Treatment for all hair types. I was so excited to give this a try, since my hair is really damaged. A few months ago, I bleached my hair. Not once, not twice, not even three times…I bleached my hair approximately seven times in a matter of a week. If you’re familiar with bleach and the effects it has on hair, you’ll know that I shouldn’t even have any hair at all. But I do. And lots of it. My hair is about 75% back to where it was, and even that wasn’t just the picture of perfect health. My expectations weren’t very high when trying this out. I’ve tried plenty of products before to restore the health of my hair, but they hardly worked. However, I’d never know if it worked if I didn’t give it a go. 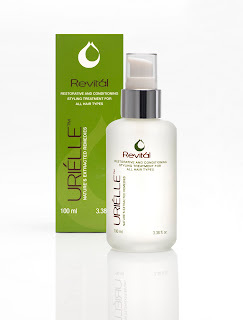 Revital is an ultra-luxurious, leave in treatment that absorbs instantly in your hair. This weightless formula is infused with natural restorative extracts from around the globe; enriched with healing nutrients, rejuvenating vitamins, it seals in moisture, softens and conditions all hair types while leaving no residue. All I had to do was apply a small amount onto my palm, massage it throughout damp hair and style like I normally do. Afterwards, I was amazed. My hair looked like everyone elses’ hair. In a good way! It looked smooth and well put-together. Even hours after I applied it to my hair!! Usually, within just 5 minutes…my hair will look like I never brushed it at all. Imagine how annoying that is. I bring a brush with me everywhere I go, and I constantly brush it. With a baby, that’s not always possible. So I look like I have nappy hair. I no longer have to worry about that with Urielle’s Revital!! What Can I Do To Become A More Effective Parent?